A gray mist envelops us in a damp hug that leaves its cold sweat on exposed skin. The condensation is warmer than the biting winds that sweep through the canyon with seeming mockery as they push directly at us from ahead. We are three-quarters of the way into our three-week private rafting trip through the Grand Canyon with my days-new fiance Dave as our guide. Today I am sitting towards the boat’s bow in front of Dave whose teeth are clenched as he leverages his body weight against the wooden oars as they move through the water. While we’ve met rains and even snow on this trip, the winds today show off their mighty force. We are trying to make progress before they pick up any more because we don’t have a day to waste if we are to get off the river by our designated take-out date. The gusts grow more forceful, and the gray mist has given way to horizontal rain. We squint to make out the river ahead. Dave answers to nature with deeper, stronger paddle strokes. He is padding forward with all of his might, and as I look to shore next to us, I see us stalled out next to the same tree for what feels like 5 minutes. I try cheering him on. The winds begin to push our raft backwards as if to wanting to return us to last night’s campsite. We keep on. My fingers and toes are numb; teeth are chattering. Dave’s cheeks are rosy hot as he battles with the prevailing headwinds. 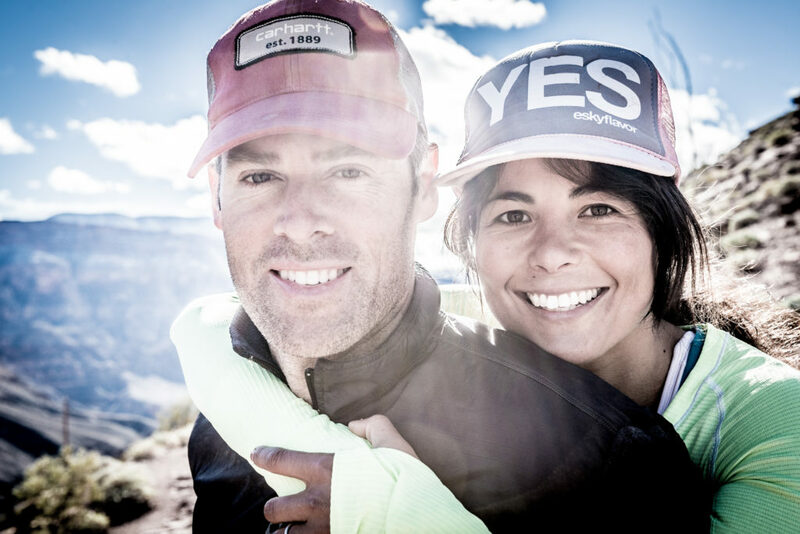 Our time together on this Grand Canyon rafting trip included the high of our engagement on Thanksgiving Day, countless awe-inspiring sights, evenings gathered around blazing fires and community meals…as well as its fair share of unforeseen challenges. Because this is the nature of being truly alive. It’s not just about the inspiration and good feeling. We get both sides. Adventure is moving to Mexico with our young family and dealing with the mess of plans falling apart unexpectedly. It is planning for what we know and dealing with new information as we receive it. Creating life means that we are integrating new information from moment to moment. Gone are the ideals that we can set a target and move perfectly and methodically towards it. Creating life is messy. It requires us to choose love both for ourselves and those around us. Being alive requires us to have permission to do things wrong and to be okay with not having it all together yet. Some days, headwinds will be so strong that they use all their might to send us backward, and even these…especially these moments…are be potent because they show us who we are in the face of adversity and call us forth to grow.